Assistant Professor of Physics, Ben Rogers, was chosen to receive the Smith Family Award for Excellence in Biomedical Research. This award, which is designed to launch the careers of newly independent biomedical researchers, is one of six given this year by the Smith Family Foundation. 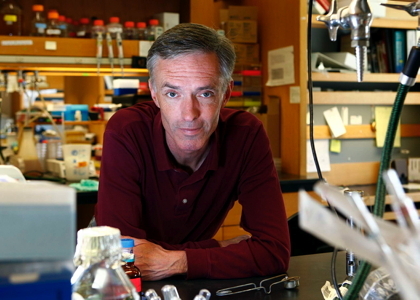 It will provide the Rogers Lab with $300,000 over three years to initiate a new direction in RNA structure and interactions. RNA molecules are vital regulators of cell biology and their three-dimensional structures are essential to how they work. Thus having the ability to intentionally interfere with the structure of RNAs could hold immense potential for the study of their function, as well as the development of molecular medicine and other biotechnological applications. One way to do this is to bind short sequences of synthetic nucleic acids, called oligonucleotides, to specific sites on the RNA molecule. But designing oligonucleotides that bind rapidly and with high affinity to a RNA target remains a challenge. The Rogers Lab will use a combination of in vitro experiments and statistical mechanics to understand and design synthetic oligonucleotides that bind to RNA molecules in a prescriptive fashion. This work will complement existing research within the Rogers Lab, which explores the use of RNA’s chemical cousin, DNA, as a tool to study and build new kinds of materials. Ben joined the Martin A. Fisher School of Physics at Brandeis University as an Assistant Professor in January 2016. 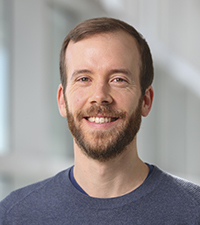 Before coming to Brandeis, Ben was a postdoctoral fellow in the Manoharan Lab within the Department of Physics at Harvard University, where he studied assembly and optical properties of colloidal suspensions. He received his Ph.D. in Chemical and Biomolecular Engineering from the University of Pennsylvania in 2012. At Penn, Ben used optical tweezers to study single-molecule binding. His research program combines expertise in biomolecular engineering, applied optics, and condensed matter physics to study interactions and self-organization at the molecular and mesoscales.